Ever crouched shivering in your car, turned the key and just got a ‘click’? 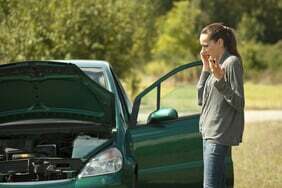 Chances are you’ve got a flat battery, which is the most common cause of breakdown. This is especially true during the winter when your battery is working harder to keep you and the car warm. There are a couple of quick fixes that’ll help get you on the road again – the jump-start and the bump-start. Switch off all electricals in your car. Park the rescue car close. Positive on (+) on rescue, then positive on (+) on flat. Negative on (-) on rescue, then negative on bare metal. Start the rescue car and run it. Start your car and run for a few more minutes. Switch off both engines and disconnect the leads in reverse order. 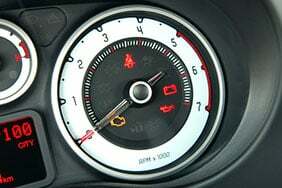 Start your car and keep it running. Drive to a safe place. 1. Check the condition of the battery. Don’t try to charge a battery that’s leaking, or looks otherwise battered or damaged. 2. Disable everything in your car that would drain power from your battery. 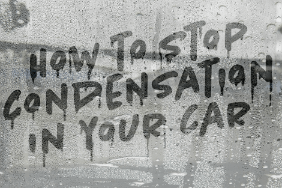 This includes your headlights, windscreen wipers, heating or air conditioning and stereo. 3. Park the rescue car so that its battery is as close as possible to yours without touching. This allows the jump cables to reach both cars but also allows them a little slack. Jump leads are red and black with crocodile clips at either end. The positive cable is usually red, and the negative cable black. Double check with the owner or on the packaging, though, just in case. 4. Take the positive cable, and connect one end to the positive (+) terminal on the working battery. Then connect the other end to the positive terminal on the flat battery. When you do this, make sure you don’t touch the battery terminals with your hands. Attach the other end to a bare metal part of the engine of the car with the flat battery. This is to earth the car, so make sure that this end is away from the battery itself. Connecting the negative cable to the flat battery could trigger a spark, which could result in an explosion. 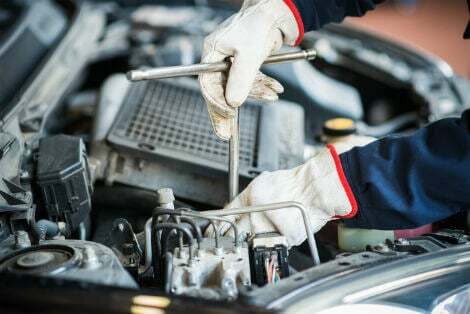 So be safe, and connect it to a metal part of the engine’s casing, such as the engine mounts or the chassis. Don’t cut corners by connecting both the positive and negative cables at the same time. This is incredibly dangerous. Also, make sure that the positive and negative connectors don’t meet. 6. Next, get your rescuer to start up their car and leave it running for a few minutes. How long depends on just how flat it is, but about 10 minutes should be enough to charge up your battery sufficiently. 7. With the rescuer’s car still running, try to start your car. If it doesn’t start first time, allow it to charge for a little longer and try again. How long you keep this up will probably be down to how patient you are. If it consistently fails to start, there’ll come a point when you know you’ll have to give up. Time to buy a new battery, or call your breakdown service. If it starts, let it run for a while to further charge up the battery. After a few minutes, switch off both engines. Don’t let the ends of the cables touch one another immediately after doing this, as it can create a spark. 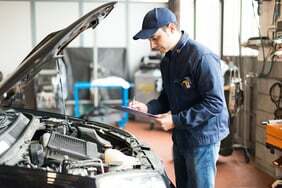 If the car started with jump leads, but not now, you may not have left the battery charging long enough. Try again, and leave it charging for longer. 9. If it does eventually start independently, leave it running for a good while. 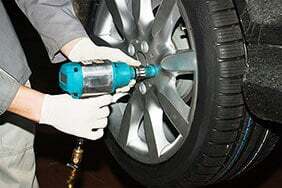 Try driving it home or to a garage where it can be tended to. Basically, aim to take it somewhere where it won’t be a nuisance if it won’t start next time you try. 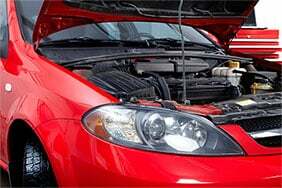 Read more: When should you change your cambelt? If there’s nobody nearby who has a car, of if you don’t have jump cables, a bump-start could help. You can only bump-start your car if it has a manual transmission, so don’t attempt this in an automatic. It’s usually a two-person job, although it can be done alone if your car’s facing downhill. Turn on the ignition, put the car in second gear and keep the clutch depressed. When you take off the handbrake you’ll need to gain some momentum, so you’ll have to get someone to push. If your car’s on a slope then that’s better still, as you can allow it to roll and do it all yourself. When the car is at around 10 mph, release the clutch for a moment, and hopefully your engine should start. That’s when you get the ‘bump’. If it doesn’t start after two or three goes, then you’re going to have to resort to other measures. If it does, then keep the engine running for twenty minutes or so to charge up the battery. If your car repeatedly won’t start, it’s best to not keep bumping, as it’s no good for your catalytic converter. If this is the case, get yourself a new battery.